Bloge is a clean and minimal blog theme for perfect for writers who need to create personal blog site with simple creative features and effects to make readers feel the pleasure of reading blog posts and articles, Bloge theme mixes between modern, classic and minimal styles and will help you create a simple and clean blog, if you are a blogger, then it’s a perfect choice for you if you don’t need to have any experiment to setup your WordPress personal blog, it’s super simple and easy to setup, you will get high quality, responsive, well crafted blog out of the box to make writers only focuses on writing content, and it has great typography to make your fans and followers focus on every word you write. 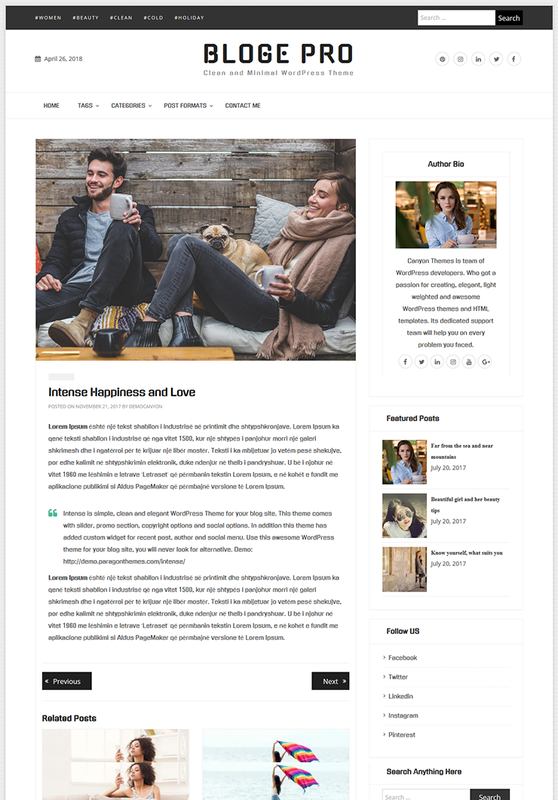 Unique Page, single page & post design. Different layout for search and no result. You have Separate and Unique Design of 404 Page. The single page is also amazing. The Theme is fully Bootstrap compatible and developed based on recent technology. Insurance Hub is translation ready and can be use on every language. Author, Featured Post and Social link custom widget is available. Audio, Video, Chat, Quote, Image post format is ready in Bloge. Beautiful Slider and Promo Section is available in bloge. Write your own copyright text in the footer section. More options in Pro. 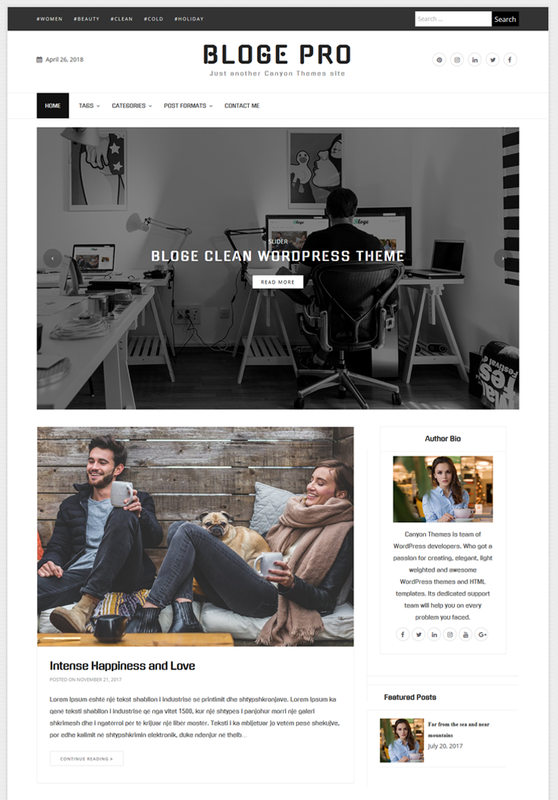 Left, Right and No Sidebar is available in this theme Bloge.